"Tis the season to be jolly" and crank up the old Christmas tunes. What a fun topic this week. Many thanks to Xio Axelrod for making us try and choose our favourite Christmas song. This is very difficult for me, mainly because I can never pin down just one thing as a favourite, and what might be top of the list this morning could be forgotten by this evening. Yes, I'm one of those people, where every second or third song that comes on the radio is "My favourite song in the whole wide world." What can I say? I like way more things than I dislike. So here's what I'm going to do. I'll list my top three Christmas songs, and we can all assume that this fluctuating list will change many times between now and old Christmas day. This song makes me cry every time I hear it. And while there are plenty of beautiful versions, there's no other like this. His voice and the guitar, the sincerity of it all, crushes me. And I love it. Another classic carol that kicks me right in the heart strings. And still, it makes me smile as well. It brings back memories of a crisp winter night at the family cabin where my cousin and I belted this out at the top of our lungs. We thought we were the best singers ever! She's actually pretty great. Me, not so much. Anyhow, there are a lot of beautiful versions out there and I honestly have no particular favourite. But for today, let's say this version by Josh Groban is pretty awesome. I do prefer piano versions over huge orchestras, so this has a bit of both. So when I was a kid, I loved this song. These days my favourite kid christmas song is the Hippopotamus one, but there's no way I can lie and say that this wasn't what got my little feet tapping at Christmas time. So here it is, in all its barefoot glory! Now pop on over and say "Jingle Bells" to S.C. Mitchell to see what he has on his list. 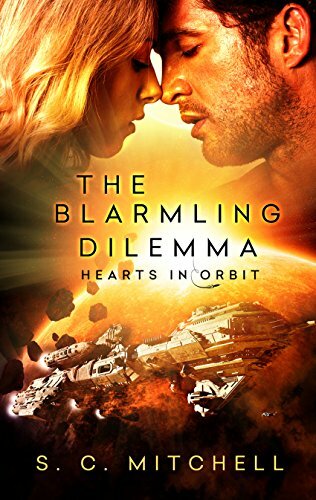 And be sure to check out his brand new release, The Blarmling Dilemma.